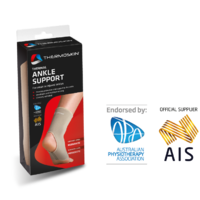 The Ligastrap Malleo is an ankle brace that provides reinforcement of the lateral ligaments thanks to the elastic compressive knit of around 27.5 mmHg and double strapping. A removable strap provides additional reinforcement and places the foot in a slight eversion. Minimum thickness and velcro attachment ensure a comfortable fit and the Ligastrap Malleo has an anti-slip system on the calf for a better hold.